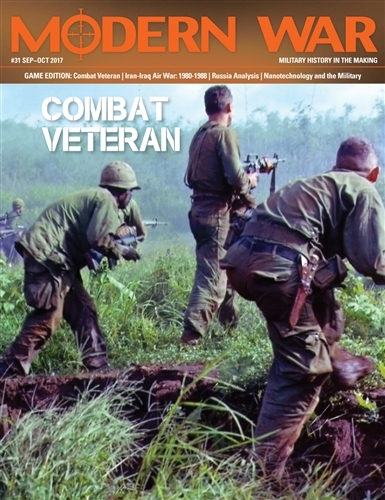 Combat Veteran is a simple two-player tactical combat system that simulates the dynamics of infantry combat at the individual (man-to-man) level. 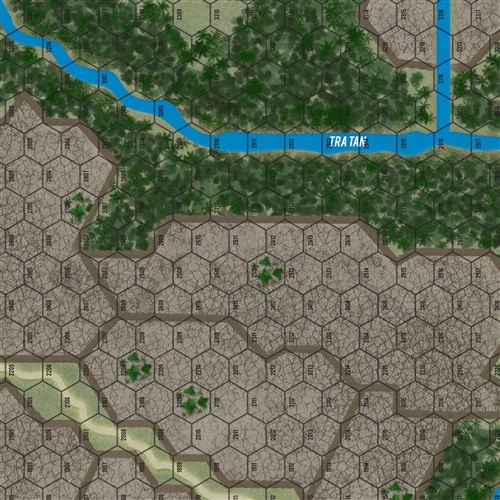 This game features two particular historic scenarios as the introduction to the wider system: Firefight at the Rice Paddy Angle (Vietnam in Mekong region, 1967), and Firefight at Combat Outpost Keating (Afghanistan in the Nuristan Province, 2009). Both firefights involved about a platoon of US infantry against a numerically superior enemy force. 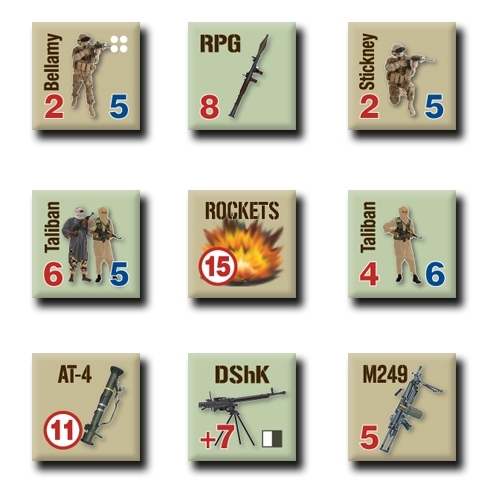 The US and Viet Cong game soldier game pieces represent specific, individual men of their respective units, whereas Taliban soldier game pieces represent three to six men. 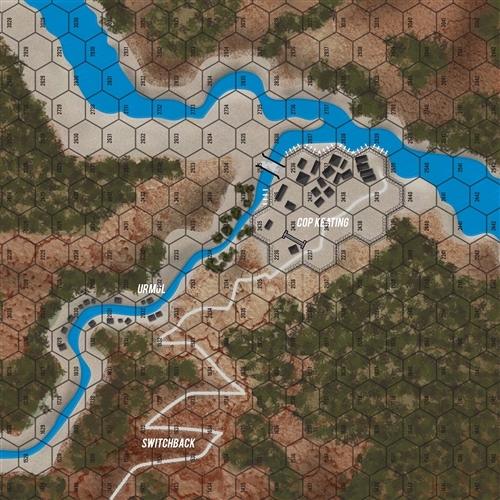 Each hex represents about 40 meters of actual terrain (almost half a football field from hex corner to hex corner), and the entire map area is roughly the same acreage as Hyde Park in London. 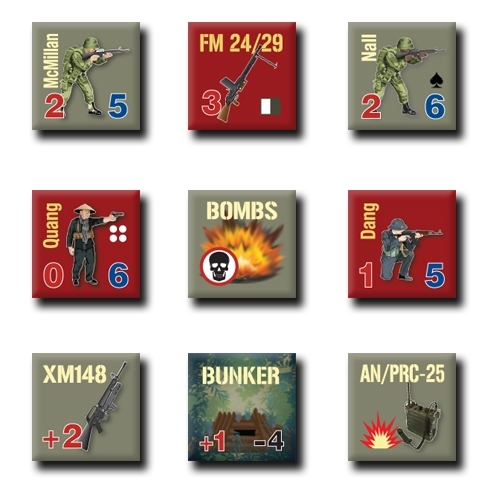 Each weapon game piece represents one specific type of named weapon and its standard loadout. For example, the M60 weapon game piece represents one M60 machinegun, at least a 150 rounds of ammunition, and presumably a spare barrel (and even an asbestos glove), etc.